Laboratory animals undergo scientific procedures that may induce discomfort or pain. Although non-human primates are used in biomedical research, identifying pain states in these species has been very challenging. Without reliable indicators of pain, it is impossible to effectively detect or alleviate pain in experimental animals leading to poor welfare. Our research aimed to identify behavioural indicators of pain in a common experimental primate – the rhesus macaque (Macaca mulatta). Opportunistic video footage was collected from animals undergoing potentially painful procedures as part of on-going but unrelated research. Each individual (n=33) was filmed for 20 minutes in four conditions: pre-procedure, post-procedure, pre-analgesia, and post-analgesia. Pain was expected to be absent in the pre-procedure condition, highest in the pre-analgesia condition, and mild to moderate in the post-procedure and post-analgesia conditions. 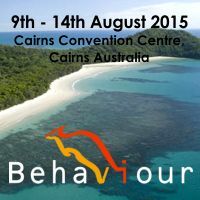 Behaviour states were measured continuously and converted into a percentage of time whilst in sight, for brief behaviours these were counted and frequencies were converted into rates per hour. Preliminary analyses suggest that several behaviours may be useful for identifying pain states: aggression, hair pulling and shivering all increased as expected pain levels increased and also decreased following analgesia. Behaviours that were expected to change with pain state but did not were sitting hunched, face rubbing, scratching and wound touching. We will discuss the implications of this research, and future directions for practical implementation into experimental facilities.